Exciting comics event coming up! 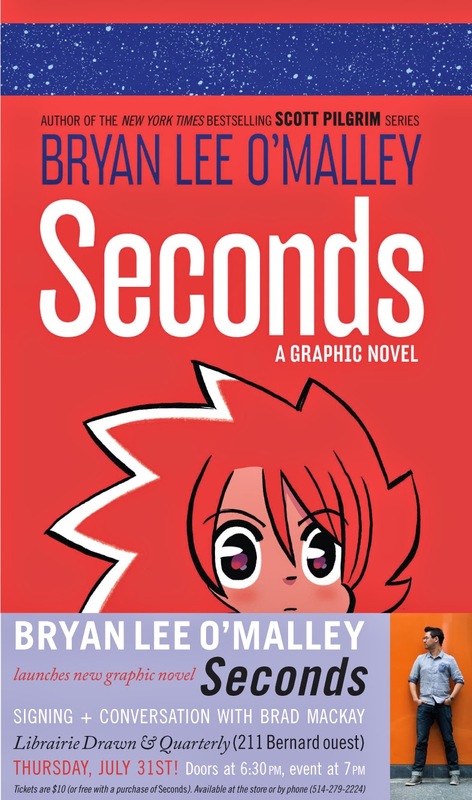 Renowned cartoonist Bryan Lee O'Malley will be at Librairie Drawn & Quarterly to launch his new graphic novel, Seconds tonight! O'Malley will be in conversation with Brad Mackay, co-founder of the Doug Wright Awards, and will also be signing books! Doors at 6:30 p.m., event at 7 p.m. Please note that all tickets are now SOLD OUT. Seconds is the highly anticipated new stand-alone, full-colour graphic novel from Bryan Lee O'Malley, author and artist of the hugely bestselling (and Toronto-set) Scott Pilgrim graphic novel series. 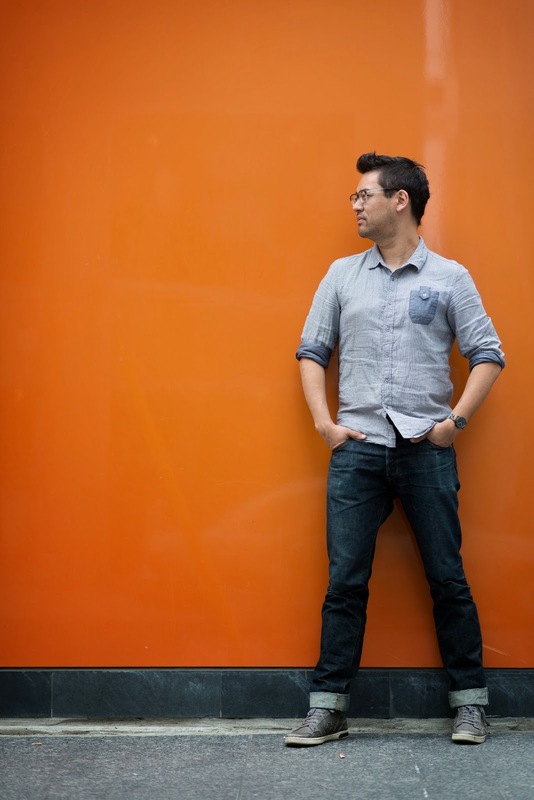 Seconds is a complex and novelistic story about a young restaurant owner named Katie who, after being visited by a magical apparition, is given a second chance at love and to undo her wrongs. Fans new and old will love O'Malley's bold and quirky style infused with his subtle, playful humour. 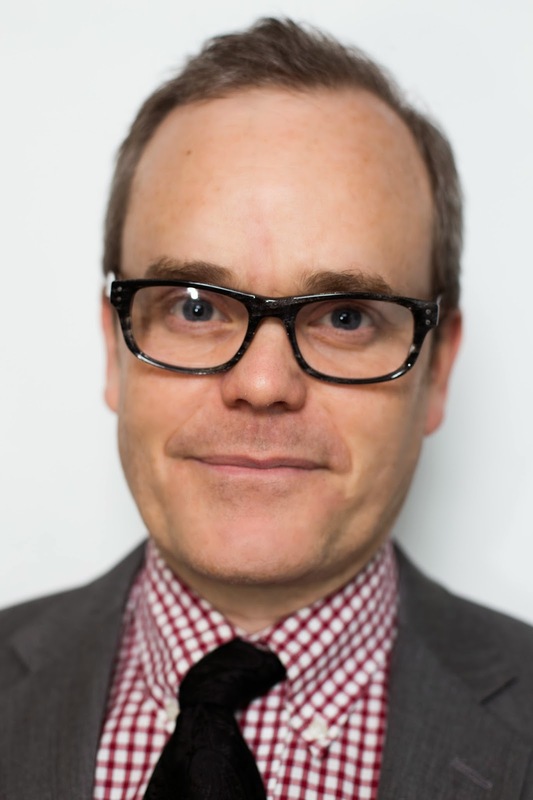 Brad Mackay is an Ottawa-based writer, journalist (Globe and Mail, National Post) and co-founder/Director of The Doug Wright Awards. He wrote and co-edited the 2009 book The Collected Doug Wright: Canada’s Master Cartoonist and an upcoming profile of the doomed Canadian cartoonist George Feyer for Canada’s History Magazine.